Tyler Cocaine Charges Defense Attorneys - Oberheiden, P.C. When a person has been charged with a federal drug crime, one of the first questions often involves the possible sentence the charge carries in the case of conviction. Many federal drug offences include mandatory sentencing guidelines and mandatory minimum prison terms. At Oberheiden, P.C., our attorneys have handled some of the country’s largest federal drug possession, distribution, and conspiracy cases. 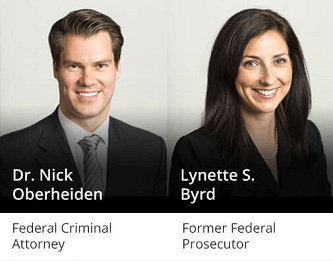 Our Texas-based team of experienced defense attorneys have worked in courts throughout Texas and across the country and we are always available to help our clients in getting drug charges dismissed. Based on our experience handling drug cases in East Texas, the judges there usually gravitate toward the higher end of the federal sentencing guidelines. Conspiracy to possess with intent to distribute or conspiracy to distribute less than 28 g of crack cocaine is punishable by not more than twenty (20) years’ imprisonment with a possible fine of up to $1 million plus no less than three (3) years of supervised release. Conspiracy to possess with intent to distribute or conspiracy to distribute more than 28 g but less than 280 g of crack cocaine is punishable by not less than five (5) years’ and not more than forty (40) years’ imprisonment with a possible fine of up to $5 million plus no less than four (4) years of supervised release. Conspiracy to possess with intent to distribute or conspiracy to distribute more than 280 g of crack cocaine is punishable by not less than ten (10) years and not more than life imprisonment with a possible fine of up to $10 million plus no less than five (5) years of supervised release. Conspiracy to possess with intent to distribute or conspiracy to distribute more than 500 g but less than five (5) kilograms of powder cocaine is punishable by not less than five (5) years’ and not more than forty (40) years’ imprisonment with a possible fine of up to $5 million plus no less than four (4) years supervised release. Conspiracy to possess with intent to distribute or conspiracy to distribute more than five (5) kilograms of powder cocaine is punishable by not less than ten (10) years and not more than life imprisonment with a possible fine of up to $10 million plus no less than five (5) years of supervised release. Possession with the intent to distribute less than 500 g of cocaine is punishable by not more than twenty (20) years in prison with a possible fine of up to $1 million plus no less than three (3) years of supervised release. Distribution of less than 500 g of cocaine is punishable by not more than twenty (20) years in prison with a possible fine of up to $1 million plus no less than three (3) years of supervised release. Every drug case is different, and a defendant’s exposure to criminal penalties is influenced by the amount and type of drug involved as well as the presence of exacerbating circumstances, such as prior convictions, use or possession of a fire, or money laundering. 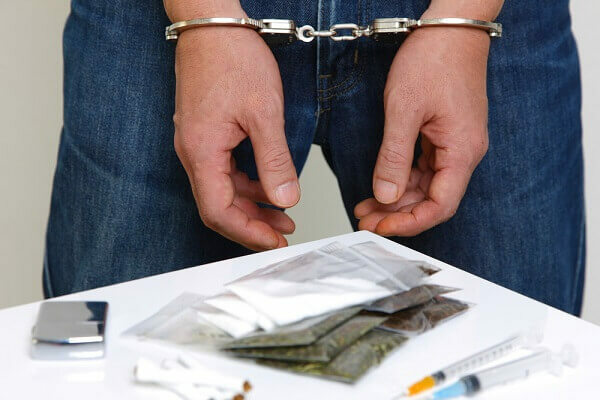 Therefore, if you are being charged with a federal drug crime, we recommend that you discuss your individual case and particular circumstances with one of the experienced attorneys at Oberheiden, P.C. Possession of a firearm by a felon is punishable by not more than twenty (20) years’ imprisonment and a fine of up to $250,000 plus not more than three (3) years of supervised release. Money laundering is punishable by not more than twenty (20) years’ imprisonment and a fine of up to $500,000 plus not more than three (3) years of supervised release. We answer each call and all initial consultations are free and confidential. If you are under federal drug investigation and if you want to discuss your case with one of our experienced attorneys, you should call us to hear our assessment of your case.